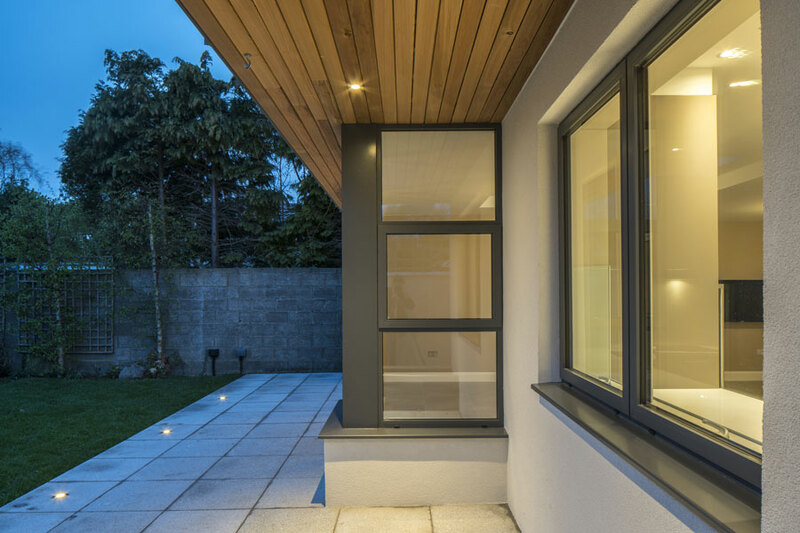 Extension and partial refurbishment of an existing detached house, Killiney, County Dublin. This existing layout did not suit client requirements. 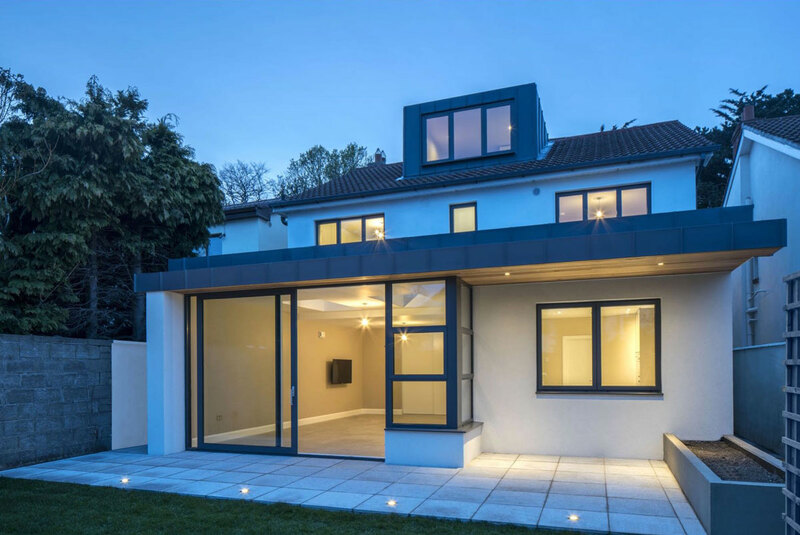 The extension and refurbishment were designed to incorporate air to water heating, underfloor heating, insulation upgrade, attic conversion and new contemporary rear extension. Materials chosen included natural cedar, zinc and hammer brushed granite patio to rear.